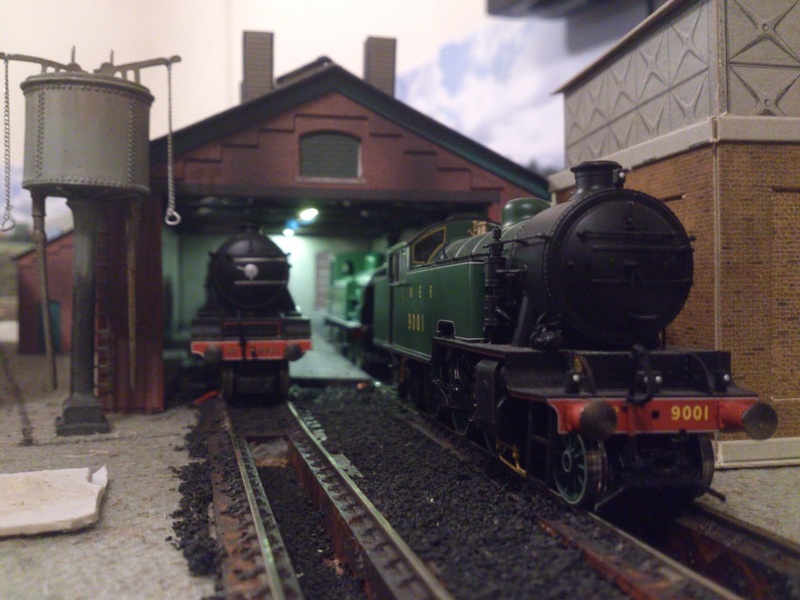 Our previous layout was 'Turton Springs and Neepsend'. It was approx. 18' square, with five stations, three locomotive depots, three stock-yards, around 50 sets of points and two connected running line levels. The total running length on the main-line circuit was approx. 215' - going around the room three times in the process! 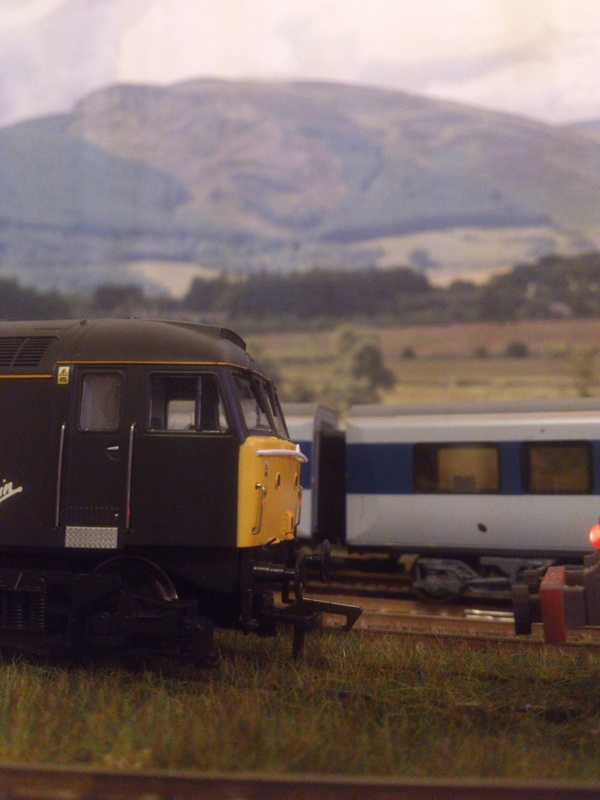 Originally operated by a Bachmann Dynamis system, it has been powered by a Lenz DCC system for the last few months. All points on the mainlines were powered by Peco motors, controlled by a central control panel. Trackwork was Peco code 100 with Streamline pointwork on the mainline and set-track points in the yards. 'Turton Springs and Neepsend' has been stripped for spares and scrapped as our impending move of premises has now taken place.